A military home loan, also known as a VA home loan, is a home mortgage loan available to eligible American veterans and their surviving spouses. 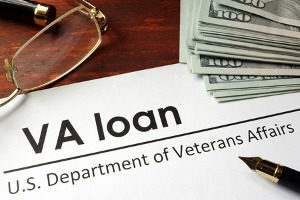 The VA home loan is typically issued by a qualified lender and partly guaranteed by the U.S. Department of Veterans Affairs (VA). Military home loans offer the best terms of any loan program for borrowers who qualify. With a VA home loan, an eligible borrower can often qualify under more lenient credit guidelines, purchase a home at an attractive interest rate with no down payment, no mortgage insurance, and lower closing costs, in addition to many other features that make this loan program a great way to finance a home purchase. Fairfax Mortgage Investments has years of experience helping eligible borrowers like you finance homes in Virginia, Maryland, and D.C. with this loan program. Buy a home, a condominium unit in a VA-approved project. Refinance an existing VA-guaranteed or direct loan for the purpose of a lower interest rate. Refinance an existing mortgage loan or other indebtedness secured by a lien of record on a residence owned and occupied by the veteran as a home. Veterans, active duty, guard or reserve, and military spouses are eligible for military home loans. The first step in obtaining a VA home loan is to apply for a VA Home Loan Certificate of Eligibility from the VA. The experts at Fairfax Mortgage can do this for you online. The VA website has a detailed explanation of the eligibility criteria. If you meet the service eligibility criteria, you are potentially eligible for a VA home loan. In brief, service requirements fall into two categories: wartime and peacetime. Potential homebuyers must satisfy only one of the service requirements to be eligible. For wartime service, veterans must have been on active duty for at least 90 consecutive days. Those who served during peacetime must have served a minimum of 181 days. Veterans of the National Guard or Reserves must have served for at least six years unless otherwise eligible.Spouses of service members who died in the line of duty, or as the result of a service related disability, may also be eligible. Other personnel may be eligible for military home loans as well, such as certain United States citizens who served in the armed forces of a government allied with the United States in WWII and individuals with service as members in certain organizations, such as Public Health Service officers, cadets and midshipmen at a military academy, and many others. Once you have obtained your Certificate of Eligibility, you can apply for the VA loan. You will need to have a satisfactory credit history and have sufficient income to qualify for the loan amount you are seeking. Do You Qualify for Any Other Loan Programs? If you do not meet the VA loan eligibility requirements, the experts at Fairfax Mortgage want to help you find the right mortgage. We offer many home loan programs to help you and your family get the home of your choice, even if your credit is less than perfect. FHA: FHA loans require a minimal down payment and are the most flexible type of home mortgage loan available. Ten percent down is required for borrowers with a credit score between 500 and 580; 3.5 percent down is required for those above 580. Your debt to income ratio with mortgage cannot exceed 43 percent. The FHA caps the loan amounts based on median income in the areas. You may qualify for an FHA loan if you have a steady employment history, consistent or increasing income, a credit report in good standing with few late payments, no bankruptcy within the last two years, and no foreclosure within the last three years. First Time Home Buyer: If you have not owned property for the last three years, you may qualify for a first time home buyer loan. For married couples, you may qualify if either of you has not owned property for the last three years. 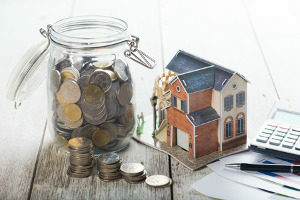 As a first time home buyer, you have a number of attractive loan options, many with as little as only three percent down and fixed or flexible interest rate terms, depending on your needs. Adjustable Rate Loans: With an adjustable rate loan, your interest rate and monthly principal and interest payments remain the same for a defined initial period, and then adjust annually when that initial period is over. The loan also includes an interest rate cap that sets a limit on how high your interest rate can go. An adjustable rate loan can provide you with flexibility if you expect future income growth or if you plan to move or refinance within a few years. At Fairfax Mortgage Investments, our loan experts can help you figure out the best mortgage loan for you. Don’t try to do it alone. Consult one of the many loan specialists at Fairfax Mortgage right away.